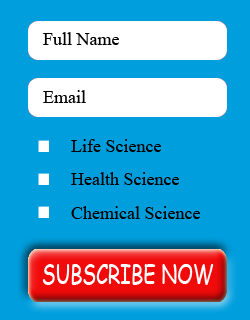 Science and technology Articles | Life science journals Edelweiss Applied Science and Technology is an open access journal, our journal has a wide scope of topics related to science and technology, which are not limited to Basic Science, life science, computer science, environmental science, chemical science, electrical science, electronic engineering, industrial engineering, material science, astronomy and astrophysics. Submission of an article implies that the work described has not been published previously (except in the form of an abstract or as part of a published lecture or academic thesis), that it is not under consideration for publication elsewhere, that its publication is approved by all authors and tacitly or explicitly by the responsible authorities where the work was carried out, and that, if accepted, it will not be published elsewhere including electronically in the same form, in English or in any other language, without the written consent of the copyright-holder. we have a strong policy against plagiarism, we request all authors to avoid plagiarism and maintain the ethics of publications. We do check for plagiarism at time of submission of manuscript as well as publication to avoid plagiarism. we use latest software to do so. All authors must have materially participated in the research and/or article preparation. The statement that all authors have approved the final article should be true and included in the disclosure. This policy concerns the addition, deletion, or rearrangement of author names in the authorship of accepted manuscripts: Before the accepted manuscript is published in an online issue: Requests to add or remove an author, or to rearrange the author names, must be sent to editor of the journal, from the corresponding author of the accepted manuscript and must include: (a) the reason the name should be added or removed, or the author names rearranged and (b) written confirmation via e-mail from all authors that they agree with the addition, removal or rearrangement. Requests that are not sent by the corresponding author will be forwarded by editor of the journal to the corresponding author, who must follow the procedure as described above. Note that publication of the accepted manuscript in an online issue is suspended until authorship has been agreed. After the accepted manuscript is published in an online issue: Any requests to add, delete, or rearrange author names in an article published in an online issue will follow the same policies as noted above and result in a corrigendum. You are requested to indicate who provided financial support to the research and preparation of the article and their role in the research work, in the writing of the report; and in the decision to submit the article for publication. If the funding source had no such involvement then this should be stated. we all allow and encourage others to copy the article, abstracts and revised versions, derivative works of the article. By following Creative Commons Attribution text, data of the article can be used for even commercial purposes until proper credits to authors is given, their work is cited and also it should not be modified in any way which can lead to damage to the honor or reputation to author or is work. A complete explaniation of the procedure followed and design of the study, along with materials utilized in the study, with the details if any modifications has been done in the already publihsed procedures. This should explore the significance of the results of the work, not repeat them. Avoid extensive citations and discussion of published literature. Title: Concise and informative. Titles are often used in information-retrieval systems. Avoid abbreviations and formulae where possible. Author names and affiliations: Please clearly indicate the given name(s) and family name(s) of each author and check that all names are accurately spelled. Present the authors' affiliation addresses (where the actual work was done) below the names. Indicate all affiliations with a lower-case superscript letter immediately after the author's name and in front of the appropriate address. Provide the full postal address of each affiliation, including the country name and, if available, the e-mail address of each author. Abstract: A concise and factual abstract is required (maximum 350 words). The abstract should state briefly the purpose of the research, the principal results and major conclusions. An abstract is often presented separately from the article, so it must be able to stand alone. For this reason, References should be avoided, but if essential, then cite the author(s) and year(s). Also, non-standard or uncommon abbreviations should be avoided, but if essential they must be defined at their first mention in the abstract itself. Abbreviations Define abbreviations that are not standard in this field in a footnote to be placed on the first page of the article. Such abbreviations that are unavoidable in the abstract must be defined at their first mention there, as well as in the footnote. Ensure consistency of abbreviations throughout the article. Acknowledgements Collate acknowledgements in a separate section at the end of the article before the references and do not, therefore, include them on the title page, as a footnote to the title or otherwise. List here those individuals who provided help during the research (e.g., providing language help, writing assistance or proof reading the article, funding acknowledgement etc.). Every reference cited in the text should be also present in the reference list (and vice versa) please ensure it before submitting. It is highly not recommended unpublished results and personal communications in the reference list, it can be mentioned in text if required. If these references are included in the reference list they should follow the standard reference style of the journal. Citation of a reference as 'in press' implies that the item has been accepted for publication. Kindly avoid inline references in the body text of the manuscript, assign a number for each reference and cite the same in reference section of the manuscript. Author names (upto 5 author names (Lastnames) & more than 5 should be written as et al,), followed by Title of the article, followed by year in brackets and then the journal name and at the last volume number and page numbers separated by colon (:). Few examples are provided belwo please follow them. 1. Watt RG. Parental knowledge and attitudes to oral health (2002) Br Dent J 193: 651-654. 2. Miyamoto W, Chung CS and Yee PK. Effect of premature loss of deciduous canines and molars on malocclusion of the permanent dentition (1976) J Dent Res 55: 584-590. 3. Leite B dos S, Fagundes NCF, Aragón MLC, Dias CGBT, Normando D, et al. Cleansing orthodontic brackets with air-powder polishing: effects on frictional force and degree of debris (2016) Dental Press J Orthod 21: 60–65. We request to provide full URL along with date of its publish in references. Information like DOI, author names, dates, reference, etc can be provided if known. Web references should be listed separately or it can be included in the reference list. E-mail addresses and affiliations of all the authors. One author has been designated as the corresponding author with contact details. • E-mail address of corresponding author. • Full postal address of corresponding author. • Manuscript has been 'spell-checked' and 'grammar-checked'. • References are in the correct format for this journal. • All references mentioned in the Reference list are cited in the text, and vice versa. • Permission has been obtained for use of copyrighted material from other sources. Submission of Cover letter and Letter of Declaration is mandatory while submitting the manuscript, this will help us for processing the manuscript fast, these document should be submitted as separate documents and the format is given below. All details of authors such as complete affiliations of them including email ids and contact numbers and authors should sign the documents agreeing to submission of manuscript to our journal. If received funding from any agency mention the details in the cover letter as well. Corresponding author should submit a letter of declaration (Official Letter head is preferred) written towards editorial office: mentioning manuscript submitted is to only our journal and it is not published or under consideration for publication in any other journal or publisher. You have provided complete rights to publish to our journal only upon acceptance.